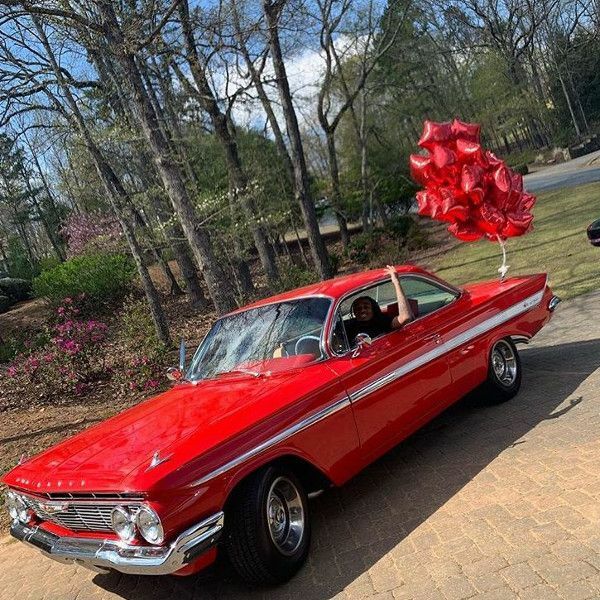 1 9 6 1 A C E I M P A L A From @saweetie Best Gift LOVE U!!!!! 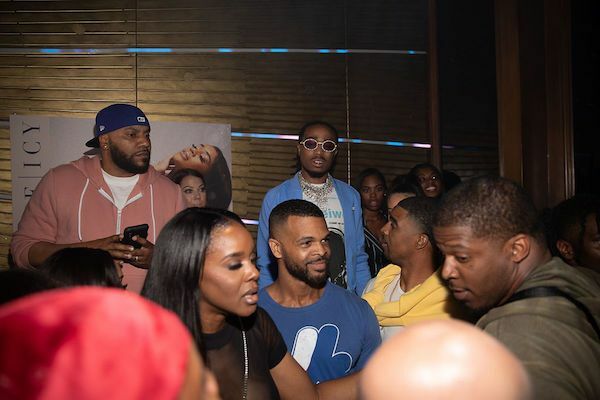 It was ALL about Saweetie as she celebrated the release of her newest EP, ICY, while premiering her latest video "Emotional" featuring her man Quavo at an iced-out themed day party in Atlanta, produced by Echoing Soundz. As expected, the Migos rapper was right by her side. 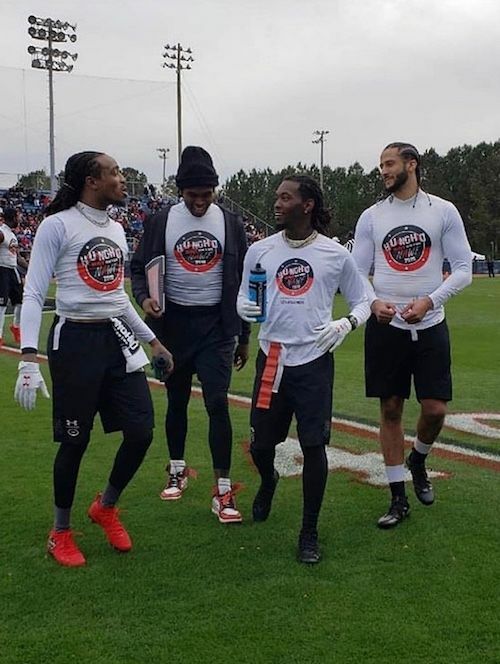 Quavo brought out all the ballers for his 2nd annual “Huncho Day on the NAWF," which included a celebrity Football Game in North Atlanta. 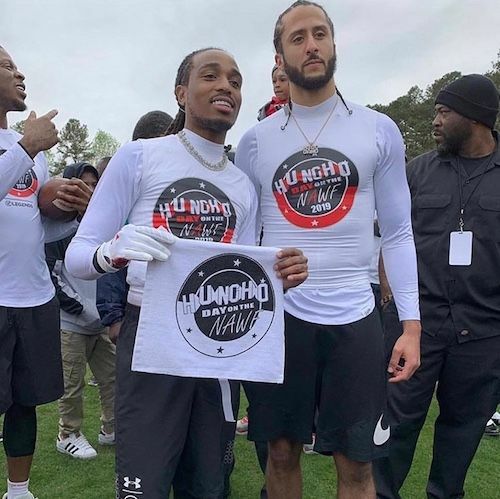 The rapper - who once held the record in his home state for most completed passes for a quarterback in a football game - brought starpower to his alma mater Berkmar High School to have fun while giving back. Several celebs came out to play and spectate, including NFL players Colin Kaepernick, his girlfriend/HOT 97's Nessa, Cam Newton, Von Miller, Bradley Roby, Ezekiel Elliott, Martavis Bryant, Julio Jones, and more. 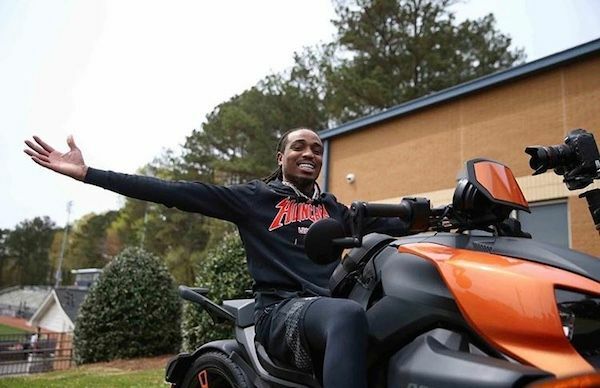 Rappers/singers like Gucci Mane, Jacquees, Trinidad James, and Migos rapper Offset were also in the mix. The fellas played flag football and there were several family/kid activities for guests to enjoy for a fun filled day of entertainment. 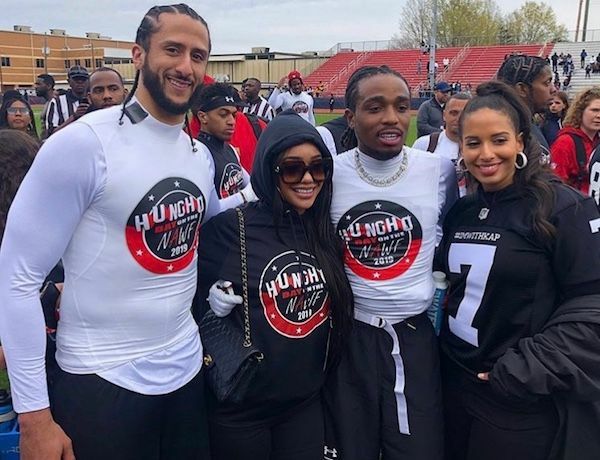 "Thank you @quavohuncho for inviting & welcoming us to #hunchoday in #ATL," Nessa captioned on Instagram. "The love was unbelievable. Seeing @kaepernick7 having fun, balling and playing football meant so much. Love to all the people cheering and sharing their love to Colin. Seeing my boo @saweetie made everything that much sweeter." 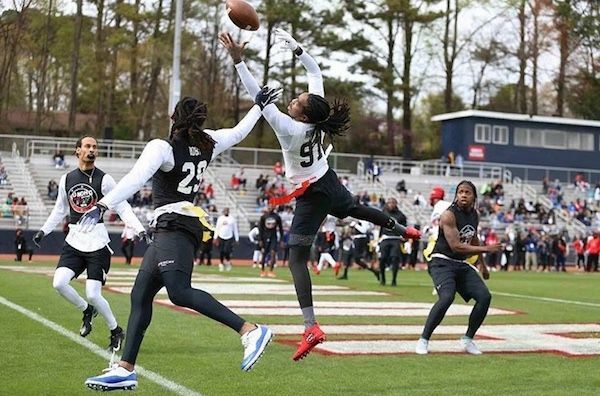 Out here at #HunchoDay at Berkmar HS with my #YRN 15 and 16U Squads...it's kinda crazy out here! Got @Kaepernick7 Julio Jones, Saquan Barkley, Cam Newton, Josh Norman, Alvin Kamara, Quavo, Off-Set, Von Miller and even Gucci Man playing!